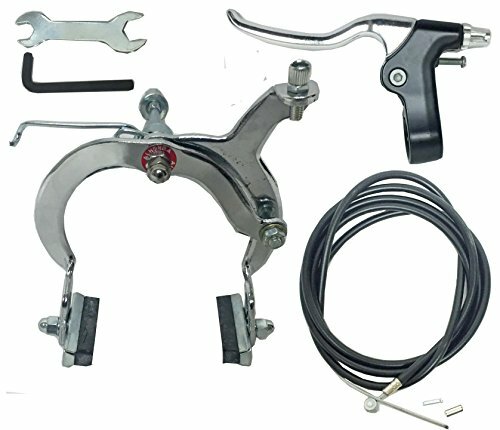 Front brake kit for use with a 26" straight springer fork on a cruiser bicycle. The brake will mount to the bottom hole of your springer fork steering tube. Includes a front side pull brake, front hand lever, 65" cable, and tools.